Messy Church is a church for children and adults to enjoy together. Activities include 'messy' craft, informal worship and a shared meal. It takes place from 4pm to 6pm on the first Thursday of each month. 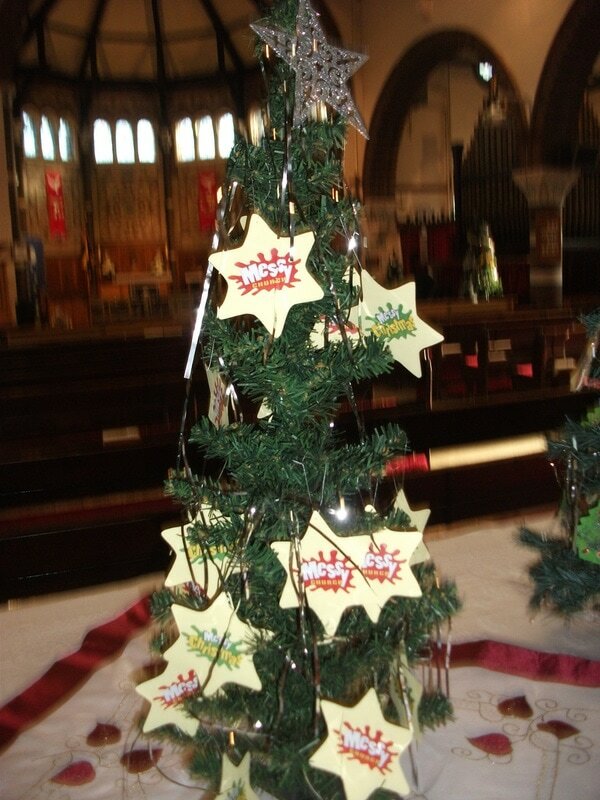 During the first week-end in December 2016, (Friday 2nd, Saturday 3rd and Sunday 4th), St Anne's Church held a Christmas Tree Festival. The tree on the right is the one that the children from Messy Church dressed for the festival with decorations they had made themselves.